The Android Open-Source project was the dawn of a new era in mobile OS world. However, despite being under the umbrella of Google, Android has a major problem when it comes to security. Google’s revered security team has been barely able to keep up with security vulnerabilities that hit Android one after another. 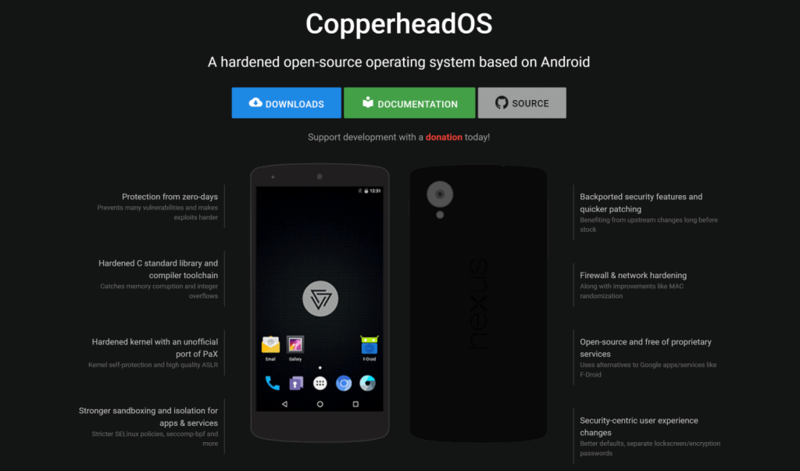 Copperhead OS has now appeared as the savior of Android OS, built by a team of just two people. Based in Toronto, Copperhead OS is a revamped and bolted version of the Android OS we have come to love, with none of the vulnerabilities. Integrated with the state of the art secure technology like Grsecurity and PaX. DID YOU KNOW? Updato's Partner offers seamless and guaranteed phone unlocking for any device, carrier and region! It's quick and easy - try it now. Moreover, Copperhead includes enhancements like compiler hardening, enhanced SELinux policies, OpenBSD malloc implementation and more. Already out for buyers looking for a truly secure Android experience, Copperhead OS for Nexus 6P, Nexus 9 and Nexus 5X is already out. Copperhead OS as a universal Android ROM? Although the majority of the security enhancements in this version of Android OS is not compatible with most devices. Until OEM Android brands choose to bring out an extra-secure variant of their popular devices in collaboration with Copperhead, you will probably have to embrace Nexus for the military-grade secure environment. To know more about Copperhead OS for Android and all the top-grade security features, visit their official website. Is Copperhead the addition to Android it needs to become the universal Mobile OS that it almost already is? Let us know your thoughts on it in the comments section below. Easily and safely unlock your phone for any network provider in just minutes.